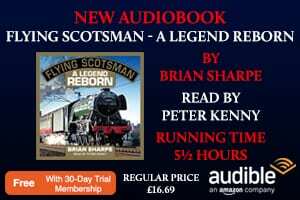 Have you ever wondered what it must have been like to experience from a locomotive footplate the fearsome challenges posed by the snowy winters of the Scottish Highlands? Ian Lamb shares with us the memories of the legendary Jimmy Gray, who passed away recently at the grand old age of 94. A background of wonderful snow on distant landscapes might be very attractive, but it can be extremely dangerous too, especially to railways. ‘Leaves on the line’ are an inconvenience, but frozen, hard-packed snow can easily derail a train. 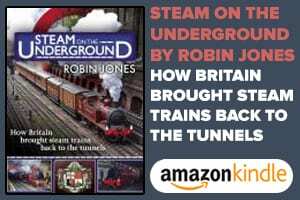 Though many people assume that such extreme weather is the prerogative of the Scottish Highlands, the threat has always been present elsewhere on the railway system. Indeed, I’ve tried to depict such by showing a model of the superbly detailed Oxford Rail’s ‘00’ Dean Goods, complete with short snow plough, on my ‘Chawton’ layout that’s currently doing the rounds at exhibitions. Planning for extreme conditions has always been important, and the various railway companies of the past, along with today’s Network Rail, were and are continually devising ways to overcome any problems associated with snow, especially for those who had to work in such an environment. Taken in defiance of Storm Deirdre, this December 17, 2018 photo looks past the dreaded Bachton, where snow accumulates from two valleys – Drumochter to the left and Loch Ericht to the right. The 10.45 Inverness-Edinburgh train (above the Wade bridge) rushes up ‘The Hill’ towards the distant mist and clouds surrounding Drumochter Summit. Photo: Ian Lamb. On this occasion I am proud to record the memory of Jimmy Gray, a 94-year-old railwayman who spent all his life in Aviemore and sadly passed away last year. By accident, I came across a DVD that he’d made some years back in response to an enquiry of mine about snow on the line over Drumochter Summit (known as ‘The Hill’ to Highland railwaymen) and his experiences with snow ploughs. “It was every young fireman’s dream to experience the plough,” he recalled. “You weren’t properly initiated until you’d had a shot at the plough – the BIG plough! I can assure you once was enough. The drama died a death very quickly. The arrival of the ‘Snow Train’ coincided with warmer winters and little snowfall during the short eight years of Network SouthEast’s existence. It was launched to the trade press in April 1989 at its home depot of Stewarts Lane. Dennis Lovett (ex-Bachmann) was part of the NSE public affairs team that hosted the event on the day, and the train is now owned by Network Rail and based in Scotland. Photo: Dennis Lovett. “My first experience of severe snow was not on the plough, but on the 1.25am passenger from Perth one very stormy night. I was firing to Charlie Ferguson on our week of the Boat train, a well-running goods train carrying the traffic from the Speyside line south containing whisky, timber, etc. “We set sail – as we usually say – about 10.30pm or thereabouts. We picked up the tablet at Aviemore South signalbox. The signalman said: ‘The Blair ploughs are out’, so we could expect trouble on The Hill. However, we had no problems until we crossed Drumochter, while it was stormy all the way of course. It was not until we were brought to a stand at Dalnaspidal station that we realised how deep the snow was – level platform to platform. Previous Post:Skytrex – the Next Generation!